Wales - Archives and Libraries - links and information. David Lloyd George's Diary for 1886. The National Library of Wales site. The Welsh Biography Online presents the lives of eminent Welsh people who have made a significant contribution to Welsh life. It is an electronic version of the volumes published by the Honourable Society of Cymmrodorion, together with new articles commissioned by the Society. The Find-a-Grave (Wales) page gives details of the graves of the rich and famous together with biographical information. Graveyard Welsh - a guide to interpreting Memorial Inscriptions. England and Wales - Census - links and information. Hanes Eglwysi Annibynnol Cymru. Rees, Thomas & Thomas, John.1873 - here is a listing of the NAMES of chapels/places from each county's contents page from the CD of this 4 volume book published by Archive CD Books. There are also a complete extract of the chapel histories for 9 of the 14 Welsh counties - in Welsh, many with translations . The Story of Non Conformity in Wales - Addoldai Cymru (Welsh Religious Buildings Trust) is a charity set up to take into ownership a selection of redundant chapels that are historically and/or architecturally significant to the story of chapel building and Nonconformity in Wales and that are valuable to their local communities. Theological Colleges attended by Welsh ministers and priests. An exercise to discover which theological colleges Welsh nonconformist ministers and Anglican church priests attended in Wales (and England). "was given to Dr Williams's Library in 1960. The Surman Index Online makes the contents available electronically via the internet for the first time. The index includes the names of about 32,000 ministers, and, where known, their dates, details of their education, ministries or other employment, together with the sources used. It covers the period from the mid-seventeenth century to 1972, and though it focuses on England and Wales, it includes Congregational ministers serving abroad provided they trained or served as ministers in Britain. Although intended as an index of Congregational ministers, it also gives details of seventeenth- and eighteenth-century Presbyterians." Unitarian Obituaries 1798 to date - The obituaries were published in journals which are held in the library at Harris Manchester College. A listing of JONES entries from the clergymen's database on Crockford's Clerical Directory of 1885. Compiled by Gareth Hicks from the CD published by Archive CD Books. Welsh Abbeys and other Religious Sites - information and photographs provided by Jeffrey L. Thomas. An online searchable index of Marriage Bonds and Allegations. It contains details of some 90,000 marriages by licence which took place in Wales between 1616 and 1837. Parish registers in the library of the Society of Genealogists. The A2A database of pre 1858 probate entries for the Welsh dioceses is at the National Archives site. Wales - Civil Registration - links and information. The Crime and Punishment database on the NLW site comprises data about crimes, criminals and punishments included in the gaol files of the Court of Great Sessions in Wales from 1730 until its abolition in 1830. The Court could try all types of crimes, from petty thefts to high treason. In practice, most of the petty crimes were heard at the Courts of Quarter Sessions, whose records are held by the Welsh county record offices. Details about these records can be searched at Archives Wales. The records of the Court of Great Sessions do not include cases tried in Monmouthshire since that county formed part of the Oxford Assize circuit, whose records are held by the National Archives. There are, however, a number of cases of Monmouthshire interest on this database. Wales - Description and Travel- links and information. General description of South Wales together with a breakdown of the Poor Law Unions. Also details of the 3 District Probate Registries. The Mimosa - on Clwyd FHS. "The Mimosa was a clipper ship best known for its voyage to Patagonia in Argentina in 1865, carrying the first Welsh emigrants. Their aim was to establish a Welsh colony which would preserve the Welsh language and culture, which they felt were under threat in Wales................."
THE DIARY OF KETURAH DAVIES. Part of the Welsh Family History Archive. " A transcript of the original diary written on board the emigrant vessel Schah Jehan which departed from Plymouth, England, 23rd August 1860, and arrived at Port Adelaide, Australia, 2nd December 1860. " Newspaper notice in the 'Cambrian' Newspaper 29th August 1873. "In the following pages will be found fully described the past history and present aspect of every place of any significance in England and Wales, forming a work of permanent importance to the commercial world, of ready service to the tourist of the "In the following pages will be found fully described the past history and present aspect of every place of any significance in England and Wales, forming a work of permanent importance to the commercial world, of ready service to the tourist of the day, and of constant interest to the general reader, who may derive from this source a large supply of entertainment, as well as of information for the amusement and instruction of a leisure hour." A searchable database of places in the 1891 census. This covers England, Wales and the Isle of Man and returns the County, Registration District, Registration Sub-District, PRO Piece Number and LDS Film Number. 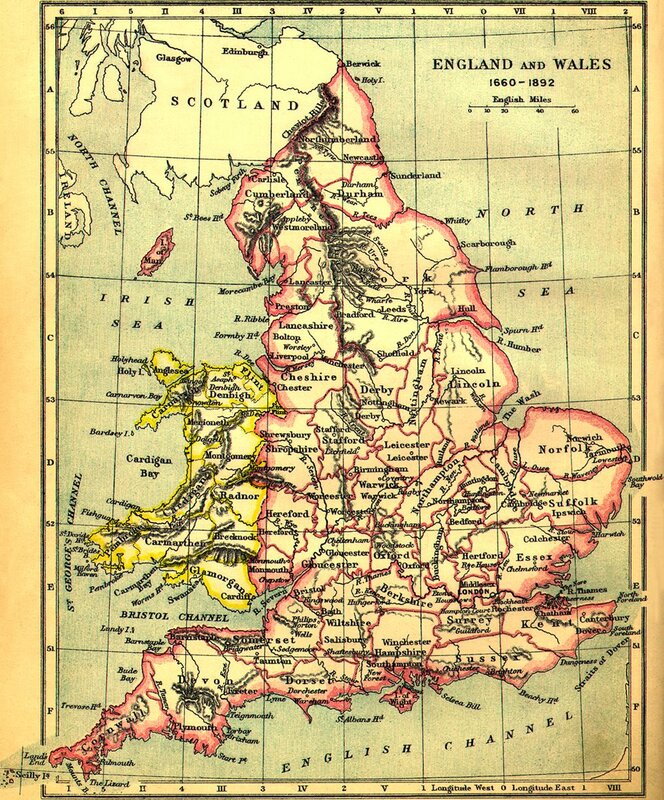 Vision of Britain - the site has the full descriptive text of 3 C19th Gazetteers (over 90,000 entries). Wales - Genealogy - links and information. Wales - History - links and information. British Listed Buildings - "an online database of buildings and structures that are listed as being of special architectural and historic interest"
This place ain’t big enough for the two of us’ – what happens at the boundaries of estates? Parallel.cymru " is an online magazine that gives a voice to anyone who is using the language of heaven, and to introduce articles, stories, Welsh culture and books to the world." http://www.cymraeg.org.uk/ "apertium-cy, the first free automatic translator for Welsh"
Geiriadur Prifysgol Cymru. A Dictionary of the Welsh Language. Sounds of Wales Listen to the pronunciation of over 200 Welsh place-names - on John Ball's site. The Royal Commission on Historical Manuscripts: Manorial Documents Register: lists the whereabouts of manorial documents in England and Wales. The register for Wales is indexed, this is searchable by county then individual manor. Places of Wales - A NLW site "Search and browse over 300,000 entries from the tithe maps of Wales and accompanying apportionment documents using original and present-day maps"
The National Library of Scotland has put numerous maps online inluding Ordnance Survey maps for England and Wales from c.1900 which can be overlaid on current maps. (479k) which were obtained courtesy of Ancestry, who retain copyright and reserve all rights in them. The National Library of Wales - holds one of the main historical and contemporary collections of Welsh mapping. Their pages lead to a growing body of online information about the collection. John Evans (Llwyn-y-Groes), Map of North Wales 1795 & 1797 by Mary-Ann Constantine, Reader at the University of Wales Centre for Welsh and Celtic Studies. She works on C18th Welsh literature projects such as Curious Travellers: Thomas Pennant and the Welsh and Scottish Tour 1760-1820. 1. Humphrey Llwyd – Cambriae Typus, 1573; 2. Robert Johnson – Survey of the manors of Crickhowell & Tretower, 1587; 3. George Owen – Penbrochiæ comitatus, 1602; 4. Gabriel Thomas – Pennsylvania and West Jersey, 1698; (Gabriel Thomas was a Welshman who settled in Pennsylvania). 5. Thomas Taylor – The Principality of Wales exactly described, 1718. ; 6. Emanuel Bowen – A New and Accurate Map of South Wales, 1729; 7. Lewis Morris – Plans of harbours, bars, bays and roads in St. George’s Channel, 1748; 8. Lewis Evans – A map of the middle British colonies in North America, 1755 (Lewis Evans was another Welshman working in America); 9. John Evans – Map of North Wales, 1795; 10. Robert Roberts – Darluniad y Ddaear, 1805. 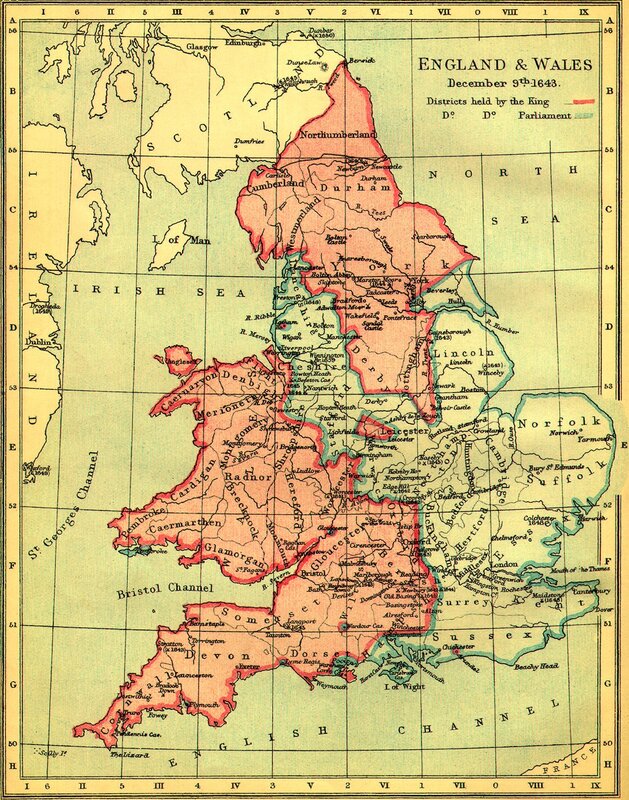 Maps of Wales, provided by John Ball, shows the location of Wales within the British Isles and the positions of its pre-1974 counties and towns. Search on a parish name, then scroll down to Administrative Units/parish name - AP/CP, click on that link, scroll down to link Historic boundaries which takes you to the map section. An exceptionally useful set of maps showing parish boundaries, on a one inch to the mile scale, was until 2007 available on CD-ROM - see: Kain, R.J.P., Oliver, R.R., Historic Parishes of England and Wales: an Electronic Map of Boundaries before 1850 with a Gazetteer and Metadata [computer file]. Colchester, Essex: History Data Service, UK Data Archive [distributor], 17 May 2001. SN: 4348. See also details of a name extraction project covering various Welsh counties. Wales -Merchant Marine - links and information. The War Diary of the 17th Battalion The Welsh Regiment - The First Glamorgan Bantams - 1916-1918 together with orders and reports etc from the PRO file. South African War [Boer] 1899-1902 , Welsh casualty List. Published by Glamorgan Family History Society. Cymru 1900 Wales - Project details; "We need help in collecting all the names of places and features in Wales from the Ordnance Survey's six-inch to a mile maps of c. 1900." A Simple Guide to Constructing 13th Century Welsh Names by Tangwystyl verch Morgant Glasvryn [Heather Rose Jones] The information in this guide is taken from a tax roll called The Merioneth Lay Subsidy Roll of 1292-3. Y Brython. National Library of Wales 'Treasurers' series. A Welsh-language magazine published in Tremadog between 1858 and 1863 under the editorship of Alltud Eifion (1815-1905) and D. Silvan Evans (1818-1903). "The Welsh-language magazine, Y Brython (1858-1863), has been digitised by the National Library in order to consider the amount of work involved and the issues which might arise from a project to digitise the whole of the Library's collection of pre-1900 Welsh and Wales-related periodicals on preservation microfilm....."
Online Newspapers Wales and Online Newsagent - links to Welsh newspaper web sites. Welsh Newspapers Welsh Library, University of Wales, Bangor "Newspapers are a priceless source, and one which is used extensively for all types of research, academic or otherwise, for subjects such as local and family history, social history, advertising and sport. The collection of the Welsh Library at Bangor is one of the most comprehensive in Wales"
The British Library Newspaper Library It holds the national archive collections in the United Kingdom of British and overseas newspapers. Wales - Occupations- links and information. Welsh Journals Online provides students, teachers and researchers with free online, searchable, access to a selection of 19th-, 20th- and 21st-century Welsh and Wales-related journals held at The National Library of Wales and partner institutions. These materials cover a very wide range of subject areas, including humanities, social sciences, science and technology. As at Jan 2012 there were c 45 journals available online. Welsh Almanac Collection - the National Library's "collections of early printed material also include publications for the other end of the market. An almanac is an annual publication that includes information such as weather forecasts, farmers' planting dates, tide tables, and tabular information often arranged according to the calendar....."
Brython: A Welsh-language magazine published in Tremadog between 1858 and 1863. On the NLW's Digital Mirror site. "The Welsh-language magazine, Y Brython (1858-1863), has been digitised by the National Library in order to consider the amount of work involved and the issues which might arise from a project to digitise the whole of the Library's collection of pre-1900 Welsh and Wales-related periodicals on preservation microfilm"
History of the United Kingdom -- Primary Documents Various online transcripts including some newspapers and periodicals eg London Gazette, Penny Magazine. David Lloyd George's Diary for 1886. The National Library of Wales 'Treasures' series. Crime and Punishment Database - at the NLW. "Comprises data about crimes, criminals and punishments included in the gaol files of the Court of Great Sessions in Wales from 1730 until its abolition in 1830. The Court could try all types of crimes, from petty thefts to high treason." Wills and Probate Records at the NLW. Probate Search Room, First Avenue House, 42-49 High Holborn, London, WC1V 6NP. Wales -Religion and Religious Life- links and information. Wales - Social Life and Customs- links and information. The Honourable Society of Cymmrodorion - "........... seeks to promote the practice and development of the Language, Literature, Arts and Sciences of Wales." The Welsh Legal History Society -l "....... exists to spread knowledge of, and promote research into, the rich history of law in Wales. That history extends from a fascinating medieval indigenous legal system to the specific (sometimes surprising) application of law within Wales in more modern times." For individual Family History Societies see: "Family History and Genealogy Societies: Wales". Welsh Land Settlements "The Welsh Land Settlement Society was set up to create work and homes for the long term unemployed of the 1930’s depression. In Wales the most successful approach was the co-operative example that operated in Sealand and 4 other sites, which were mainly in South Wales.........."
Wales is maintained by Gareth Hicks with help and information provided by a number of other volunteers.